Brief biographies of some famous Italians from Eastern Friuli. The autochthonous Italians of Eastern Friuli were historically called Friulians or Ladins, but today are often called Giulians or Julians. 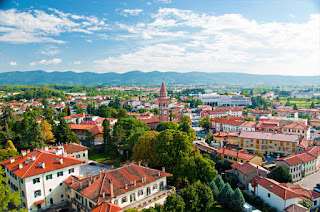 Eastern Friuli is a historical territory of Italy and one of the three traditional areas that make up the historical Italian region of Julian Venetia (the other two being Istria and the Quarnaro). Anciently the region of Friuli was known as Venetia, but in the Middle Ages the eastern part of Venetia became known as Friuli. Geographically, Eastern Friuli forms a single region with the rest of Friuli and Veneto. Feudal divisions later caused Eastern Friuli to become politically detached from the rest of Friuli, despite being geographically, ethnically and culturally linked. Most of Eastern Friuli later became part of Gorizia-Gradisca. 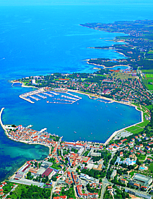 In the 19th century it became part of the Littoral. Eastern Friuli is comprised of the Goriziano with the Isonzo Valley in the northwest; in the south it includes the Carso with Trieste and its hinterland; in the east its boundaries are historically formed by the westernmost parts of Upper-Inner Carniola, which are separated from the rest of Carniola by the Julian Alps, which constitute the natural frontier of Italy. The boundaries of Eastern Friuli therefore roughly correspond to the former Italian provinces of Gorizia, Trieste and Carnaro (minus Fiume). During the Early Middle Ages, Friuli was the easternmost territory of the Kingdom of Italy and marked the boundary between the Italian and Slavic worlds. Beginning in the 10th century, Slavic peoples were invited to settle in the rural districts of Eastern Friuli by the Patriarch of Aquileia. Originally all the small towns of Eastern Friuli (including Caporetto, Tolmino, Postumia, Vipacco, Idria, Circhina, Canale) spoke an Italian dialect known as Ladin or Eastern Friulian as their native language, but after the 16th century these towns slowly became populated by Slavic migrants from the countryside and the Italians were gradually subsumed into the growing Slav population. By the 20th century, nearly half of Eastern Friuli had become Slavicized; the Friulian dialects had mostly disappeared and the Italians had become a minority in the easternmost towns. Only the westernmost towns of Eastern Friuli remained majority Italian: Gorizia, Gradisca, Grado, Aquileia, Monfalcone, Ronchi, Cormons, Trieste. The Italians of Eastern Friuli faced persecution and discrimination under the Austro-Hungarian Empire. In the decades before World War I, the Habsburg government and Pan-Slavists pursued a systematic policy of Slavicization and de-Italianization of Eastern Friuli, especially in Gorizia and Trieste. 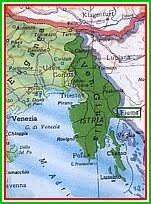 Eastern Friuli with the rest of Julian Venetia was reunited with Italy after World War I. Towards the end of World War II the Italians of Eastern Friuli were subjected to ethnic cleansing and genocide by the Yugoslavs, who occupied the land and annexed it to Communist Yugoslavia in 1947. 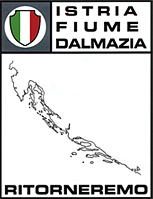 About 350,000 Italians from Dalmatia, Istria and the surrounding region of Julian Venetia were forced into exile after the war. 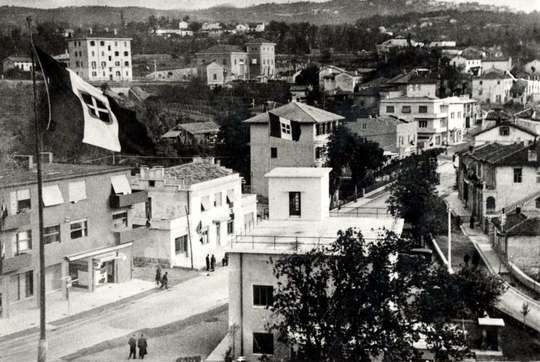 Their homes and property were confiscated by the Yugoslavs. After the war Eastern Friuli was artificially divided between Italy and Yugoslavia, with a border wall running through the city of Gorizia. The “Gorizia Wall” was finally dismantled in 2004, but today Slovenia continues to occupy most of Eastern Friuli and the old eastern half of the city. The Friulian Italians and their exiled descendants patiently await the return of their homeland to Italy. Antonio Abetti — Born on June 19, 1846 in San Pietro di Gorizia (today Šempeter-Vrtojba), Eastern Friuli. Italian astronomer. 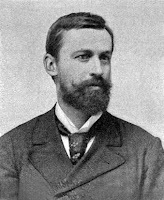 Graduated in mathematics and engineering from the University of Padua in 1867. Assistant and astronomer at the Observatory of Padua from 1868-1893. Part of an expedition led by Italian astronomer Pietro Tacchini to observe a transit of Venus with a spectroscope in 1874, becoming the first to use a spectroscope to study the transit of planets across the disk of the Sun. Professor of Astronomy at the University of Florence. 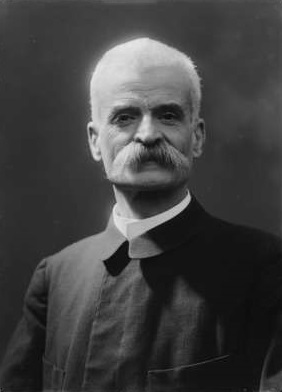 Director of the Arcetri Observatory in Florence from 1894-1921. Between 1879-1919 at the Arcetri Observatory he observed as many as 121 comets, determining for them 2,600 positions, and 798 planets, fixing over 6,500 positions. From 1895 onwards he established as many as 7,830 positions between comets and small planets. Died in Florence on February 20, 1928. The crater Abetti on the Moon and the minor planet 2646 Abetti are both named after him and his son Giorgio Abetti. Carlo Antoni — Born on August 15, 1896 in Senosecchia (today Senožeče), Eastern Friuli. Italian philosopher, historian and journalist. Studied in France. Moved to Italy at the outbreak of World War I. Participated in the Italian irredentist movement in Trieste. Supported Italian intervention in World War I and the unification of Trieste with the Kingdom of Italy. Joined the Italian Army in 1915. Fought in World War I from 1915-1918. Wounded by gas in battle in 1916. Awarded the Bronze Medal of Military Valour. Pupil of Benedetto Croce. Graduated in philosophy from the University of Florence in 1919. Taught philosophy and history at the high school in Messina from 1924-1929. Worked at the Institute of German Studies in Rome from 1932-1937. Professor of German Literature at the University of Padua in 1942. Militant Anti-Fascist. Joined the Italian Liberal Party (Partito liberale italiano) in 1943. President of the Julian Committee of Rome (Comitato giuliano di Roma). Commissioner of the Institute for Foreign Cultural Relations (Istituto per le relazioni culturali con l'estero) from 1944-1948. After the occupation and annexation of Eastern Friuli by the Yugoslav Communists at the end of World War II, he was de facto permanently exiled and never permitted to return to his home in Senosecchia. Occupied the Chair of Philosophy of History at Sapienza University in Rome from 1947-1959. Awarded the Einaudi Prize for Philosophy in 1952. Vice President of the Association for Cultural Freedom (Associazione per la Libertà della Cultura) in 1953. Joined the Radical Party in 1956. Published numerous works, essays and articles on philosophy and history. Died in Rome on August 3, 1959. Silvano Baresi — Born on May 18, 1884 in Castelnuovo d'Istria or Castelnuovo del Carso (today Podgrad), Eastern Friuli. Italian architect and engineer. Moved to Gorizia with his family at a young age. Learned painting in his youth from Italian painter Giovanni Cossàr. Attended the Ober-Realschule of Gorizia from 1896-1903, where he was a classmate of Italian painter Edoardo Del Neri. Graduated from the Vienna University of Technology in 1908, where he was a student of Italian architect Max Fabiani. Returned to Gorizia in 1908. Worked as an engineer for the Municipal Construction Office in Gorizia. Designed the Riccardo Pitteri Elementary School of Gorizia in 1908. Designed the Casa Obizzi on via Rismondo 3 in Gorizia in 1909. Moved to Grado in 1909 or 1910. Designed the Sanctuary of the Madonna of Barbana in Grado, built from 1911-1924. Designed the Villa Reale and Baresi Villa in Grado in 1912. Fled by boat from Austrian-ruled Grado to Venice in 1915. Supported the unification of his homeland with the Kingdom of Italy. Joined the Italian Army in World War I. Officer of the Engineer Corps (Arma del genio). Led the excavations on Monte Sabotino for the Battle of Gorizia in 1916. Awarded a military medal. Returned to Grado in 1919. Commissioner of the Baths and Care Company of Grado (Azienda bagni e cura) from 1919-1920. Vice President of the Savings Bank of Gorizia. Designed several homes and villas in Gorizia in the 1920's. Designed the Town Hall of Cervignano del Friuli in 1926. Collaborated with Max Fabiani in the restoration of the damaged Church of Santi Vito e Modesto in Gorizia from 1926-1928. Designed the Sanctuary of Monte Santo di Gorizia, completed in 1928. After the occupation and annexation of Eastern Friuli by the Yugoslav Communists at the end of World War II, he was de facto permanently exiled and never permitted to return to his home in Castelnuovo. Died in Grado on February 1, 1958. One of his sons, also named Silvio Baresi (1914-1991), was an Italian politician and member of the National League (Lega Nazionale) of Gorizia. 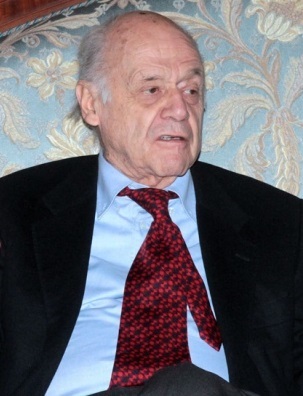 Francesco Cergoli — Born on October 22, 1922 in Divaccia (today Divača), Eastern Friuli. Italian footballer and coach. Debuted in Serie C with UFM Monfalcone at age 17. 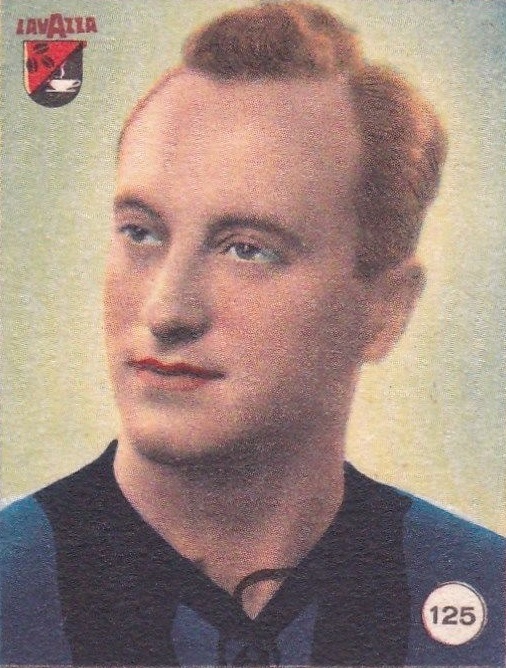 Debuted in Serie A with U.S. Triestina in 1940. Played for Triestina from 1940-1946; Atalanta from 1946-1947; Juventus from 1947-1949; Atalanta BC from 1949-1954; Lecco from 1954-1956; Molfetta from 1956-1957; Monfalcone from 1957-1959. Coach for Molfetta from 1956-1957; Monfalcone from 1965-1966; SPAL from 1967-1971; Triestina from 1973-1974; A.C. Morrone from 1974-1975. After the occupation and annexation of Eastern Friuli by the Yugoslav Communists at the end of World War II, he was de facto permanently exiled and never permitted to return to his home in Divaccia. Coronini Family — Italian noble family from Gorizia and Eastern Friuli. Descended from the Locatelli family, which originated in Berbenno near Bergamo, Italy and settled in Gorizia in the 15th century. The first member of the family to move to Gorizia was Giovanni Coronini in 1487. The first ennobled member of the family was Giovanni Cipriano Coronini (1500-1597), who acquired noble titles in 1548. After Giovanni Cipriano's death, three branches of the family were established in the towns near Gorizia by his three sons: the first branch was founded in Moncorona (Cronberg in German; today Kromberk) by Cipriano Coronini (1540-1610); the second branch was founded in Tolmino (today Tolmin) by Orfeo Coronini (d. 1593); and the third branch was founded in San Pietro di Gorizia (today Šempeter-Vrtojba) by Marsilio Coronini (1530-1594) or by Marsilio's son Alessio Coronini (1580-1679). The Moncorona branch was later divided into two more branches: a branch in Quisca (today Kojsko), founded by Rodolfo Coronini (1589-1648), and a branch in Cerò di Sotto (today Dolnje Cerovo), founded by Rodolfo's brother Ludovico Coronini (1602-1653). 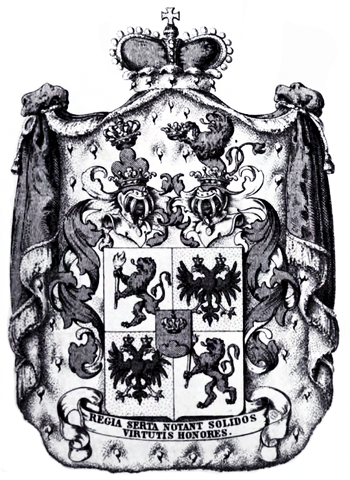 Many members of the Coronini family joined the army and actively participated in the Habsburg wars against the Republic of Venice, against the Turks and during the Thirty Years War. The town of Coronini in Banat, today part of Romania, was named after Giovanni Battista Alessio Coronini (1794-1880) in 1859. Francesco Carlo Alessio Coronini (1833-1901), born in Gorizia, became the first Mayor of San Pietro di Gorizia from 1868-1899. The Coronini family sold the Coronini Mansion (Villa Corinini or Palazzo Coronini) in San Pietro di Gorizia to the Italian Air Force in 1930 and moved to the nearby Villa Maffei. After the occupation and annexation of Eastern Friuli by the Yugoslav Communists at the end of World War II, the Coronini family was permanently exiled and never permitted to return to their family homes in San Pietro di Gorizia and other towns. The family was forced to move to Gorizia in 1947. All properties of the Corinini family in Eastern Friuli were seized by the Yugoslav Communist government in 1948 and 1952. The Tolmino branch of the family went extinct in 1959. The Cerò di Sotto branch of the family went extinct in 1990. The male line of the San Pietro di Gorizia branch went extinct in 2013. Giovanni Battista Coronini — Born in 1573 in Eastern Friuli. Italian condottiero and nobleman. Son of Cipriano Coronini (1540-1610), founder of the Moncorona (Cronberg) branch of the Coronini family. Studied in Graz. Abandoned his studies and devoted himself to a military life. Commanded cavalry units against the Ottoman Turks at a young age. Together with two other members of the Coronini family, he participated in the conquest of the fortress of Petrinja during the Siege of Petrinja in 1594. During the siege he defeated and captured the Turkish leader Erdogles Beg or Ardoj Bey and destroyed the stronghold, decisively contributing to the victory. Returned to his home in Solcano (today Solkan). Mortally wounded while trying to make peace and break up a duel. 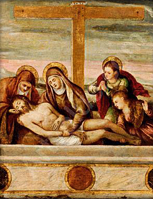 Died of his wounds in Salcano, Eastern Friuli in 1606. Rodolfo Coronini (1731-1791), author of the “Bellum Petriniense”, commissioned a victory monument dedicated to Giovanni Battista Coronini, depicting the vanquished Erdogles Beg at his feet. The monument, built by Italian sculptor Marco Chiereghin in 1774, was originally located in the parish church of Quisca; it was later transferred to Parco Coronini Cronberg in Gorizia in the 19th century. Rodolfo Coronini — Born in 1589 in Quisca (today Kojsko), Eastern Friuli. Italian poet, soldier and nobleman. Founded the Quisca branch of the Coronini family. Fought against the Turks in the army of Italian commander Rambaldo di Collalto during the Long Turkish War. Granted the title of Baron by Emperor Ferdinand II in 1630. Published numerous poems, elegies, epigrams and sepulchral inscriptions. Died in 1648. Countess Maria Renata Coronini — Born in 1763 in Quisca (today Kojsko), Eastern Friuli. Italian countess. Member of the Quisca branch of the Coronini family. Her father Rodolfo Coronini (1731-1791) was Italian. Her mother Marianna Coronini von Dietrichstein was German. 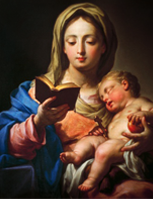 Her brother Rodolfo Maria Luigi Carlo Coronini died twenty days after childbirth in 1761. Baptized in 1763 by the Portuguese Count Antonio de la Puebla, who was Captain of Gorizia. Contracted smallpox and died in Gorizia in 1764. She was a year old. Her older sister Marianna Giuseppa Coronini also died of smallpox shortly after in 1764, at age 4. Anna Maria Coronini — Born in the 17th or 18th century in Solcano (today Solkan), Eastern Friuli as Anna Maria Morelli. Italian noblewoman. Member of the Morelli family. Married into the Coronini family. Wife of Francesco Ignazio Coronini. Mother of Count Pietro Antonio Coronini, Felice Michele Coronini, Countess Felicita Coronini, Countess Albarosa Coronini and Countess Marianna Antonia Coronini. Died in Solcano, Eastern Friuli in 1740. Pietro Rodolfo Leonardo Giuseppe Coronini — Born on July 12, 1796 in Quisca (today Kojsko), Eastern Friuli. Italian nobleman. Member of the Quisca branch of the Coronini family. Great grandson of Francesco Ignazio Coronini and Anna Maria Coronini. Great great grandson of Rodolfo Coronini (1589-1648). Died on October 30, 1813 in Gorizia. Valentino Dragogna — Born in 1643 in San Pietro di Gorizia, Eastern Friuli. Italian notary, chronicler and nobleman. Member of the noble Dragogna family. Father of Matteo Dragogna and Giuseppe Dragogna. Grandfather of Giuseppe Dragogna. Notary of Gorizia from 1696-1719. Remembered for writing a diary, entitled “Notabilia quaedam”, which documents the life of the Dragogna family and the most important events in the County of Gorizia beginning in 1663. Died in 1719. Matteo Dragogna — Born in 1674 in San Pietro di Gorizia, Eastern Friuli. Italian notary, chronicler and nobleman. Member of the noble Dragogna family. Son of Valentino Dragogna. Brother of Giuseppe Dragogna. Father of Giuseppe Dragogna. Married in 1703. Notary of Gorizia from 1705-1743. Remembered for continuing a diary begun by his father, entitled “Notabilia quaedam”, which documents the life of the Dragogna family and the most important events in the County of Gorizia from 1663-1742. Died in San Pietro di Gorizia, Eastern Friuli in 1750. Giuseppe Dragogna — Born in 1681 in San Pietro di Gorizia, Eastern Friuli. Italian priest and nobleman. Member of the noble Dragogna family. Brother of Matteo Dragogna. Son of Valentino Dragogna. Uncle of Giuseppe Dradogna. Chaplain from 1708-1735. Parish priest of the Church of San Pietro in San Pietro di Gorizia from 1735-1741. Died in San Pietro di Gorizia on June 21, 1741. Giuseppe Dragogna — Born in the 18th century in San Pietro di Gorizia, Eastern Friuli. Italian notary and nobleman. Member of the noble Dragogna family. Son of Matteo Dragogna. Grandson of Valentino Dragogna. Nephew of Giuseppe Dradogna Notary of Gorizia from 1764-1769. 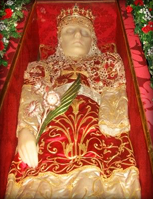 Died in San Pietro di Gorizia in the 18th century. Max Fabiani — Born on April 29, 1865 in Cobidil San Gregorio (today Kobdilj) near San Daniele del Carso (today Štanjel), Eastern Friuli. Italian architect, urbanist and politician. His father Antonio Fabiani was an Italian from Paularo in Friuli. His mother Carlotta von Kofler was German of Tyrolean origin. Raised as part of the Italian community of Eastern Friuli. His native language was Italian; he later also learned German and Slovenian. Attended elementary school in Cobidil San Gregorio. Attended high school at the Realschule in Lubiana/Ljubljana. Attended the Vienna University of Technology from 1882-1889. Obtained an honorary doctorate in urban planning from the University of Vienna in 1902. Member of the Committee for Italian Refugees (Comitato per i profughi italiani) during World War I. 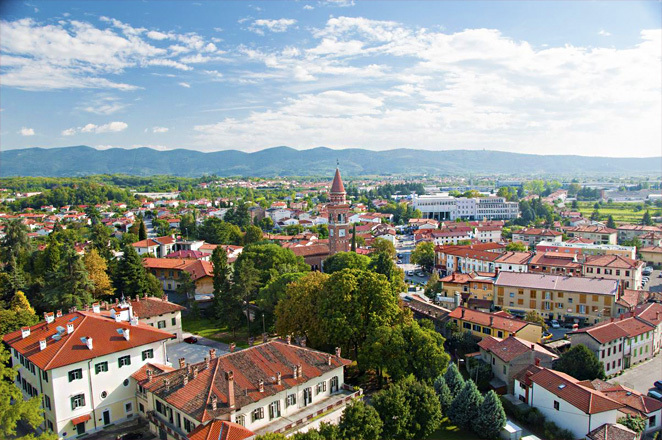 Moved to Gorizia and obtained Italian citizenship in 1918. Head of the Reconstruction Office of Gorizia and Gradisca (Ufficio Ricostruzione di Gorizia e Gradisca) from 1918-1919. Joined the National Fascist Party in 1921. Member of the 62nd Isonzo Blackshirt Legion of Gorizia (62ª Legione MVSN “Isonzo”). Awarded the Order of the Crown of Italy. Taught at the Vittorio Emanuele III High School in Gorizia from 1919-1925. Mayor of San Daniele del Carso from 1935-1945. His family home in Cobidil was burned down by Slovene Partisans in 1944. Moved to Gorizia in 1944. After the occupation and annexation of Eastern Friuli by the Yugoslav Communists at the end of World War II, he was de facto permanently exiled and never permitted to return to his home in Cobidil. Awarded the Italian Order of Merit for Culture and Art in 1951. Nominated Senator for life by Italian President De Gasperi in 1952, but declined due to old age. Considered one of the greatest architects and urbanists in the modern history of Austria, Slovenia and Julian Venetia. The asteroid 29439 Maxfabiani is named after him. Died in Gorizia on August 12, 1962 at age 97. Some of his main architectural works include the following: Designed the urban plan for Lubiana/Ljubljana after the 1895 Ljubljana earthquake. Designed the urban plan for Bielitz/Bielsko, Poland in 1899. Designed the National Hall (Narodni dom) in Trieste, completed in 1904. Designed the Urania Palace in Vienna, completed in 1909. Designed reconstruction plans for all the damaged villages of Eastern Friuli from 1917-1922. Restored the Cathedral of Gorizia in 1919. Restored the Church of San Germano on the Brioni Islands in Istria in 1919. Designed the urban plan for the reconstruction of Gradisca in 1920 and Gorizia in 1921. Designed his mother's tomb at the Cobidil Cemetery in 1923. Restored the fortifications and Castle of San Daniele del Carso from 1929-1935. Designed the Church of the Sacro Cuore di Gesù in Gorizia, completed in 1934. Designed the Church of San Lorenzo in Locavizza di Aidussina, completed in 1935. Designed the Casa del Fascio in San Daniele del Carso, completed in 1938. Designed the Garden of Villa Ferrari in San Daniele del Carso, completed in 1940. Lucio Fois — Born on February 25, 1929 in Caporetto (today Kobarid). Italian soldier. Son of Giacomo and Maria Santa Giorgini. Corporal of the 4th Gorizia Regiment of the Militia of Territorial Defense (4° Reggimento MDT “Gorizia”), the Julian Venetian branch of the Republican National Guard (GNR), dedicated to anti-partisan activities and defending Italy's eastern borders during World War II. Captured by the Yugoslav Partisans at the Piuma Bridge (Ponte di Peuma) checkpoint near Gorizia on the night of June 26, 1944. Murdered by the Yugoslav Communist Partisans and thrown into the pit of Poggio Poggino or Poggio Poggetto (Dolegna del Collio) at age 15. He was the youngest of a group of young Italian soldiers captured at Peuma and killed at Poggio Poggino, which was part of the much larger Foibe Massacres. On April 17, 1947 the Allies discovered seven pits containing about forty bodies of people shot and killed by the Yugoslavs at Poggio Poggino. On April 20, 1947 they recovered twenty-three of the bodies. 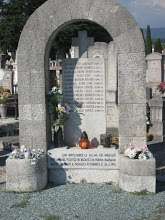 The body of Lucio Fois and twelve of his companions of the GNR-MDT were later transfered to Gorizia Cemetery: Enzo Gabbarin or Gabborin (age 33), Armando Zaramella or Zamarella (age 24), Oddone Visentin or Visintin (age 17), Rosario Biscari or Biscardi (age 21), Luigi Lodi (age 20), Giorgio Genchi (age 19), Bruno Cabas (age 18), Umberto Fabretti (age 15), Damiano Voncina (age 16), Vladimiro Cernigoi (age 17), Francesco Pertica (age 21) and Danilo Ronca (age 31). Franco Giraldi — Born on July 11, 1931 in Comeno (today Komen), Eastern Friuli. Italian director, screenwriter and film critic. Spent his childhood frequently moving between the Carso (Comeno, Barcola, San Daniele del Carso), Trieste and Gorizia. Also lived in Asola near Mantua and in Massaua, Eritrea. His father, an Italian soldier and irredentist of Istrian origin, was captured by the British in North Africa and died as a prisoner of war when a submarine sank the British ship RMS Nova Scotia carrying Italian POW's off the coast of Lourenco Marques (Mozambique) in 1942. Moved to Lorraine, France with his family in January 1943. Returned to San Daniele del Carso in July 1943. Collaborated with the Italian Partisans while still a child. Disarmed sixteen German auxiliaries with a friend on April 30, 1945. His sister Giuditta Giraldi supported the Yugoslavs during the Yugoslav occupation of Trieste in 1945. Their uncle from Barcola was arrested by the Yugoslavs and disappeared; he was murdered in the Foibe Massacres. After the occupation and annexation of Eastern Friuli by the Yugoslav Communists at the end of World War II, he and his family were de facto permanently exiled and never permitted to return to their homes in the Carso. Worked as a film critic for the Italian Communist Party newspaper “L'Unità” after the war. Co-founded the Trieste Film Circle (Circolo del Cinema di Trieste). Moved to Rome in the early 1950's. Wrote for 21 films and television shows from 1959-2003. 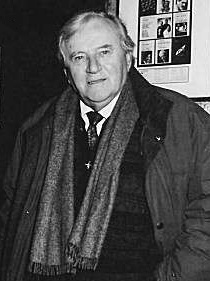 Directed 34 films and television shows from 1962-2009. His most notable credits are Sergio Leone's A Fistful of Dollars (1964), Seven Guns for the MacGregors (1966), La bambolona (1968) and La rosa rossa (1973), based on a novel by Istrian Italian writer Pier Antonio Quarantotti Gambini. Directed three documentaries on Communism, Julian Venetia and Dalmatia: La città di Zeno (1977), Trieste 1948 (1981) and Ex Jugoslavia - Fogli di viaggio (1994), which documents the Yugoslav concentration camp Goli Otok. Nominated Honorary President of Alpe Adria Cinema, which founded the Trieste Film Festival in 1989. Retired from directing and settled in Gradisca in 2009. 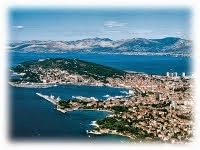 Later moved back to Trieste. 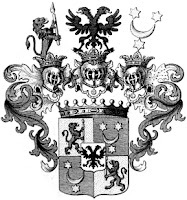 Lantieri Family — Italian noble family with many branches in Italy and former Italian territories. Descended from Roman consuls and tribunes; or, according to another tradition, descended from Vintero Lanteri (Lanterio I), a legendary Marchese of Istria who defeated the Venetians in 932 or 935. Moved to Paratico in the Franciacorta region of Brescia in 1007. Branches were later established in Ventimiglia, Briga and Gorizia. The Gorizian branch of the family was founded in 1450 by Antonio Andrea III Lantieri, a direct descendant of the Brescian branch of the family. The Gorizian branch of the family was later divided into four branches in Eastern Friuli: two in Rifembergo (in German Reifenberg; today Branik), comprised of a main branch and a lower branch, one in Vipacco (today Vipava) and one in Sable Grande (in German Sabla; today Velike Žablje). The family was added to the nobility of Carniola in 1517 and Gorizia in 1527. Gaspare or Gasparro Lantieri (d. 1550) obtained the lordships of Rifembergo and Vipacco in 1528. Lorenzo I Lantieri (d. 1589) was granted the hereditary title of Imperial Cup-Bearer of Gorizia in 1567. Also granted the title of Baron by Emperor Maximilian II in 1568. Federico I Lantieri (1570-1642) became Count of Vipacco in 1632 and founded the Vipacco branch of the family. His title of Count of the Holy Roman Empire was confirmed in 1642 and extended also to his cousins Bernardo or Bernardino Lantieri (1608-1660) of the Rifembergo branch; Lorenzo II Lantieri (1602-1664), founder of the Sable Grande branch; and Giovanni Gasparo II Lantieri (1612-1655), founder of the Lower Rifembergo branch. The Lantieri hunting lodge (Villa Belvedere or Palazzo di Semona) in Semona (today Zemono) was built by the Lantieri family in 1683. In the 17th century they had their own cuirassier regiment (heavy cavalry), named the Lantieri Cuirassier Regiment, distinguishing themselves in battle against the Ottoman Turks. 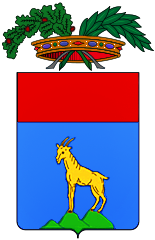 The main Rifembergo branch went extinct in 1753 with the death of Giovanni Ignazio II Lantieri, leaving the Vipacco branch of the family as the heir. The Sable Grande and Lower Rifembergo lines both went extinct by the 19th century, leaving the Vipacco branch as the sole survivors of the Gorizian branch of the Lantieri family. Carlo Federico Lantieri (1839-1910) became Hereditary Falconer of Carniola and the Windic March in 1873. The male line of the Vipacco branch of the family went extinct in 1910 with the death of Carlo Federico Lantieri. His daughter Clementina Lantieri (1865-1960), the only surviving member of the family, married the German Baron Erdmann Friedrich Ferdinand von Levetzow (1868-1948) in 1906, merging the Lantieri family with the Von Levetzow family and forming the Levetzow-Lantieri line. Rifembergo Castle, one of the ancient residences of the Lantieri family, was burned and bombed by the Yugoslav Partisans in 1944; all the furnishings were destroyed. After the occupation and annexation of Eastern Friuli by the Yugoslav Communists at the end of World War II, the Lantieri family was de facto permanently exiled and never permitted to return to their homes in Eastern Friuli. All properties of the Lantieri family in Eastern Friuli, including the castles of Vipacco and Rifembergo (which had belonged to the Lantieri for 417 years), were confiscated by the Yugoslav Communist government in 1945. Countess Carolina Levetzow Lantieri (b. 1955) married Count Niccolò Piccolomini in 1987, forming the Levetzow-Lantieri-Piccolomini line. Francesco Antonio I Lantieri — Born on April 23, 1662 in Vipacco (today Vipava), Eastern Friuli. Italian military officer, public administrator and nobleman. Member of the branch of the Lantieri family. Attended school in Gorizia. Chamberlain of the Order of the Golden Key (Ordine della Chiave d'Oro). Lieutenant general and commander of the Army of Emperor Charles VI. Inspector General of the troops in Carniola and Friuli. Obtained the hereditary office of Supreme Falconer of Carniola. Captain of Gorizia and Administrator of Gradisca from 1721-1729. Promoted industry and established a cloth factory and a paper mill. Hosted Emperor Charles VI at his home in Vipacco in 1728. Fell ill at his home in Vipacco. Treated by Dr. Giulio Goldoni, father of Italian playwright Carlo Goldoni. Died in Vipacco, Eastern Friuli on January 28, 1729. Giovanni Federico III Lantieri — Born on June 14, 1670 in Vipacco (today Vipava), Eastern Friuli. Italian general, nobleman and Knight of Malta. Member of the Vipacco branch of the Lantieri family. Son of Giovanni Antonio V Lantieri (1631-1690). Obtained the office of Supreme Hereditary Falconer of Carniola and the Windic March. Inspector General of the troops in Carniola and Friuli. Commander of the Lantieri Cuirassier Regiment. Fought against the Ottoman Turks during the Austro-Turkish War of 1716-1718. Promoted to field general under Eugene of Savoy after the Battle of Petrovaradin in 1716. Chamberlain of the Order of the Golden Key (Ordine della Chiave d'Oro) in 1728. A family portrait was painted by Italian painter Rosalba Carriera at the Lantieri home in Rifembergo in 1730. Wounded in the Battle of Guastalla during the War of the Polish Succession in 1734. Promoted to cavalry general in 1735. Died in 1744. Franco Liberini — Born in 1933 in Tolmino (today Tolmin), Eastern Friuli. Italian politician, historical researcher and author. Fled from Tolmino with his family in 1943. After the occupation and annexation of Eastern Friuli by the Yugoslav Communists at the end of World War II, he was de facto permanently exiled and never permitted to return to his home in Tolmino. Worked as a chartered surveyor. Later graduated in sociology. 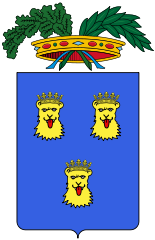 Mayor of Nave from 1978-1980. Vice President of the Brescia section of the National Association of Julian Venetia and Dalmatia (Associazione Nazionale Venezia Giulia e Dalmazia; ANVGD). Published “Goodbye Isonzo” (Isonzo addio) in 1996. Published “Don Giuseppe Bonomini: Priest Among the Alpines, Peaks and Alpine Churches” (Don Giuseppe Bonomini prete tra alpini, vette e chiesette alpine) in 2009. 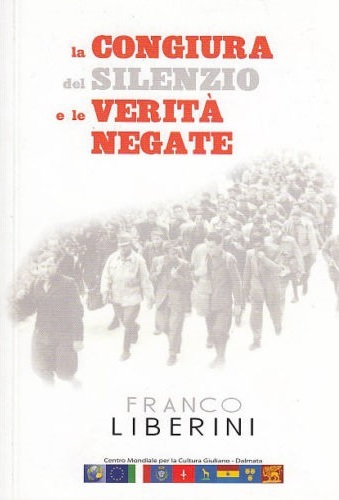 Published “The Conspiracy of Silence and Denied Truth” (La congiura del silenzio e le verità negate) in 2014. Francesco Macedonio — Born on February 19, 1927 in Idria (today Idrija) to a family of musicians. Italian theater director. Spent his childhood in Idria. Moved to Gorizia in his youth. Returned to Idria every summer to visit his grandparents home. After the occupation and annexation of Eastern Friuli by the Yugoslav Communists at the end of World War II, he was de facto permanently exiled and never permitted to return to his home in Idria. Graduated from college in Gorizia in 1946. Worked as an elementary school teacher. Co-founded the Small Theatre of Gorizia (Piccolo Teatro Città di Gorizia) in 1953. Director of the Repertory Theatre of Friuli-Venezia Giulia (Teatro Stabile del Friuli-Venezia Giulia) in 1967. Co-founded the Popular Theatre “La Contrada” (Teatro Popolare “La Contrada”) in Trieste in 1976. Directed shows for the Italian Drama of Fiume (Dramma italiano di Fiume) at the National Theatre in Fiume and for New Scene (Cooperativa Nuova Scena) in Bologna. Won the Flaiano Prize in 2012. Died in Gorizia on April 1, 2014. 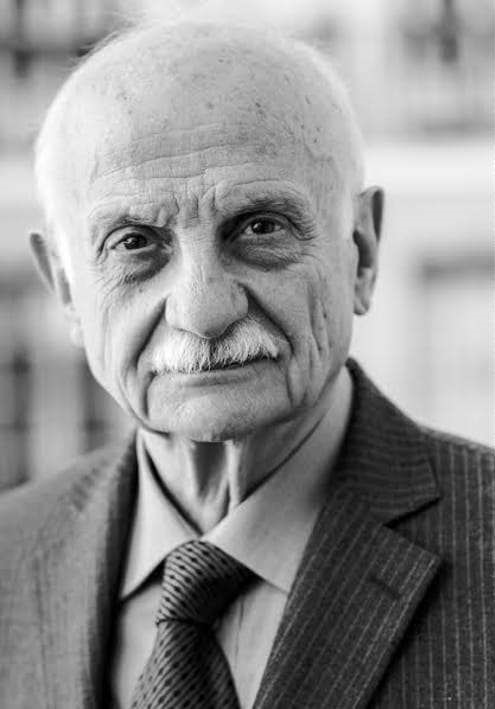 His book “Stories of Idria” (Racconti di Idria) was posthumously published in 2015 by the Julian Institute of History, Culture and Documentation (Istituto Giuliano di Storia Cultura e Documentazione). Mario Mori — Born on May 16, 1939 in Postumia (today Postojna), Eastern Friuli. Italian general and prefect. Fled from Postumia with his family at the end of World War II. After the occupation and annexation of Eastern Friuli by the Yugoslav Communists at the end of World War II, he and his family were de facto permanently exiled and never permitted to return to their home in Postumia. Graduated high school in Rome. Attended the Military Application School of Turin (Scuola di applicazione). Graduated from the Military Academy of Modena. Joined the Carabinieri Corps. Promoted to lieutenant in 1966. Worked for the SID (Servizio Informazioni Difesa) in Rome from 1972-1975. Promoted to captain in 1975. Appointed Commander of the Anti-Crime Section of the Operational Department of Rome in 1978, to investigate the kidnapping of former Italian Prime Minister Aldo Moro. Worked in the field of counter-terrorism. Promoted to lieutenant colonel in 1986. Co-founded the ROS (Raggruppamento operativo speciale) in 1990 to combat organized crime and terrorism. Deputy Commander of the ROS in 1992. Promoted to colonel in 1992. Promoted to brigadier general in 1998. Prefect and Director of the SISDE (Servizio per le informazioni e la sicurezza democratica) from 2001-2006. Accused of aiding the Mafia. Acquitted of all charges by the Court of Palermo in 2006. Published an autobiography in 2011. Conducted consultancy activities in the field of public safety on behalf of the Mayor of Rome from 2008-2013. Accused again of aiding the Mafia. Acquitted by the Court of Palermo in 2013. Published two books on terrorism and intelligence in 2015 and 2016. Acquitted again by the Palermo Court of Appeals in 2016. Definitively acquitted by the Court of Cassation in 2017. Joined the Energies for Italy Party (Energie per l'Italia) in 2017. Accused again of secretly negotiating with the Mafia. Sentenced to 12 years imprisonment by the Assizes Court of Palermo on April 20, 2018. “I was born in Postumia Grotte, a former territory of Trieste, on May 16, 1939. A young person or young adult who grew up in recent decades without any memory of that period might ask: what does "former territory of Trieste" mean? That means I was born in Italy, but eight years later my homeland was no longer Italian. In 1947, immediately after the war, Postumia was ceded to Yugoslavia and today it is part of Slovenia. Thus I originated in a border area. Postumia and Pola (the other former Italian city where my family lived for so many years) represented in my imagination the ideal world typical of childhood dreams. ... The events that happened immediately after the Second World War prevented the natives of those lands – the Julian-Dalmatians – from returning to their place of origin for many years. And this was all the more true for me because, as an officer of the Carabinieri, I was certainly not a welcome person in Yugoslavia, not even for a brief visit. I only returned there once after the fall of Communism, on a summer afternoon in the 1990's, and I found the red brick house where I was born. I stayed in Postumia for only a few minutes and decided never to go back. Do you know why? Because my childhood dreams were more beautiful than reality, and I did not want to ruin them, I wanted to keep them intact forever. Like many other families, mine too had to leave their place of origin. However, I never considered myself a refugee in the strict sense: we left safely and had prepared everything well in advance, without tragedy. I did not live through those dramas that many others less fortunate than us had to suffer, forced to abandon everything, even their memories. But today I can not help but say – like many of my fellow countrymen – that I have never appreciated the way in which the Italian government dealt with the cumbersome problem represented by those lands and by those people so closely linked to our history. They were abandoned to their destiny by the Treaty of Osimo in November 1975, which finally surrendered Zone B of the former Free Territory of Trieste to Yugoslavia... It was an an iniquitous solution from the administrative point of view and disgraceful on a moral level, ignored by almost all Italians who today think Osimo is just a charming town near Ancona. Mucci Pinuccio — Born on September 12, 1924 in Postumia (today Postojna), Eastern Friuli. Italian soldier. Member of the 3rd Carnaro Regiment of the Militia of Territorial Defense (3° Reggimento MDT “Carnaro”), the Julian Venetian branch of the Republican National Guard (GNR), dedicated to anti-partisan activities and defending Italy's eastern borders during World War II. Fought in defense of the power plant in the town of Mattuglie near Fiume. Murdered by the Yugoslav Communist Partisans and thrown into a pit on September 24, 1943. He was one of thirteen Italian soldiers (seven of whom were natives of Fiume) captured and killed at Mattuglie, which was part of the much larger Foibe Massacres. The names of the native Fiuman Italian soldiers killed in the massacre alongside Mucci Pinuccio were: Odino or Igino Svast, Luciano Copiter or Copitar, Lino Oppici, Mario Paladin, Buggero Farina, Luciano Bubbola and Vito Rotondo. Their bodies were thrown into pits and have never been found nor recovered. As a result, they have never received proper burials. Ennio Vitanza — Born on July 27, 1934 in Postumia (today Postojna), Eastern Friuli. Italian sports commentator and television presenter. After the occupation and annexation of Eastern Friuli by the Yugoslav Communists at the end of World War II, he and his family were de facto permanently exiled and never permitted to return to their home in Postumia. Moved to Turin with his family as a child. Briefly played football in Turin but was injured. Won a radio-television competition and was hired by RAI (Radiotelevisione Italiana) as a football correspondent in 1970. Commentator for the World Cup from 1974-1990. 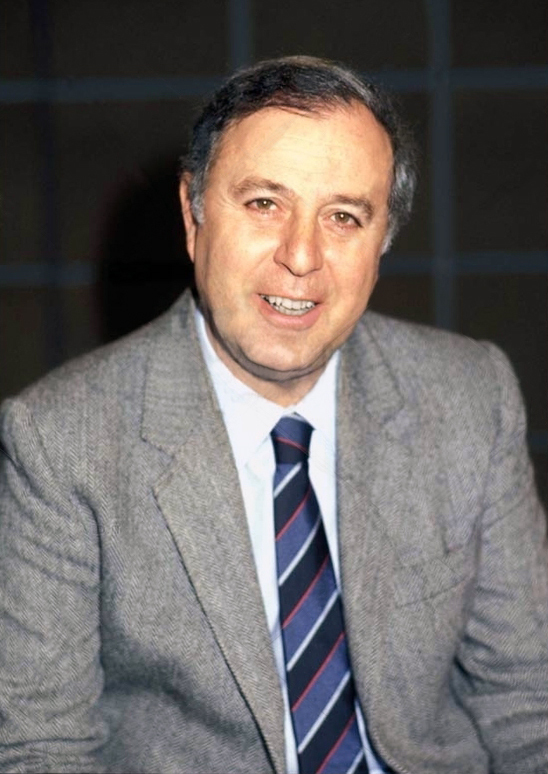 Commentator for the UEFA European Championship from 1980-1988. Presenter of Sunday Sprint (Domenica Sprint) from 1982-1987 and 1989-1990. Curator of Sporty Sunday (Domenica Sportiva) from 1994-1997.